IMPORTANT NOTICE REGARDING 'GRAB ONE' VOUCHERS. It has come to our attention that a home based therapist in Halswell called 'Beautifully you' has advertised /is selling vouchers on 'grab one'. This has caused some confusion because the name is so similar to ours (Beautiful you). We are not associated in any way with this therapist or 'grab one' and cannot honour such vouchers. ​90 minutes of pampering with Skincare from Joyce Blok and Image. 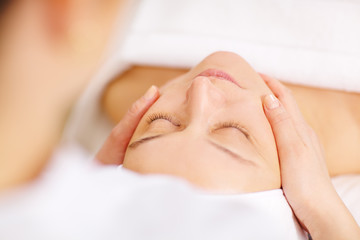 With over 10 facials to choose from there is something for everyone! Waxing and tinting treatments, tanning, electrolysis and make up. ​We use the 'hot wax' method on all facial areas, underarms and bikinis/brazilians. Relax with a Swedish massage or release tension with a deep tissue treatment. Or perhaps a hot stone massage is more your style? WE HAVE 2 EXCITING NEW TREATMENTS! Lash Lifts & Semi-permanent Mascara. Lash lifting is a perm for your eyelashes! Combined with an eyelash tint for a natural but distinctive lifting curl. Great also for people with shorter lashes. ​Semi-permenant mascara is just that! No flaking, completely waterproof and will last for up to 4 weeks. Perfect for that upcoming summer holiday!